Easter is not just for chicks and lambs; it is also for fish and sharks. 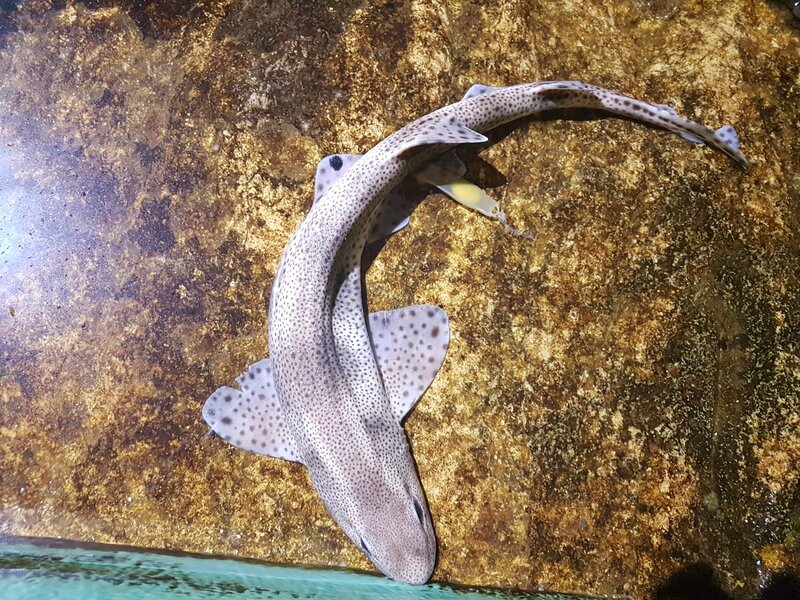 This Easter staff at Blue Reef Aquarium were thrilled to see that their Lesser Spotted Dog Fish were laying eggs. The dogfish are a type of shark which are native to our local waters and can be found in the North Sea. The shark spent the morning of Good Friday laying lots of eggs to the delight of staff and visitors. She will lay a number of eggs over the next few days to give a greater chance of them hatching. The eggs will be looked after by the experienced team at Blue Reef in their nursery quarantine over the coming months. Lesser Spotted Dogfish eggs take up to 11 months to hatch and take a lot of care and careful attention from the team. Visitors to the aquarium will be able to see the sharks and their eggs over the Easter holidays and hopefully see some eggs being laid.